We're living in a time when every phone is instantly criticized by the tech media the moment of its release if it lacks wireless charging. While it's genuinely useful to some, wireless charging is actually irrelevant to most smartphone users and, as I explain below, it has more disadvantages than what it has to offer. It's important to clarify that I'm not arguing against wireless charging across the board. In fact, I think it works really well in common household items like electric toothbrushes where there are no usability compromises; you use it for 2 mins and then leave it where you got it from until the end of the day...just like a traditional toothbrush. OK, enough about toothbrushes and let's get into why phone wireless charging is not so great! Wireless charging, at least for the time being, does not mean contactless charging. You have to keep your phone touching the pad for it to charge, so if you want to you use your phone, you have to pick it up and thus interrupt its charging. There are some wireless charging stands that allow you to see the screen while your phone charges, but that still limits the usability of your phone and you'd still have to be facing the charging stand which is not the case outside an office setting like at your living room or in bed. Wireless chargers are waaay slower than their wired counterparts. Modern smartphones can take between 15 to 18 watts of power while charging through a cable while wireless chargers vary between 5, 7.5, and 9 watts. That's half the speed! Is that not worth the half second it needs to plug your phone into the charger? Some very new wireless chargers promise up to 15 watts of power but they'll always be one step behind the speed of wired charging. The problem does not end there, wireless charging is very inefficient and uses more electricity than charging through a cable. While wired chargers do lose some electricity as they convert AC power from your wall outlet to DC power for your phone to use it, wireless chargers require two extra conversions! Electricity needs to be converted from AC to DC, then the wireless charger converts the DC power to inductive power and sends it to your phone which then converts it back again to DC in order to use it. As you can see, that's not very energy efficient. If you want to check this yourself, read the technical specs of a wireless charger. For example, the LG WCP-300 Qi charging pad takes a DC 5V 1.8A input and delivers a DC 5V 1A output. That's a 0.8A lost in the unit instead of heading straight to your phone. Most wireless charging users place their units on the office desk and on the nightstand next to bed. While you might have a large desk at work, nightstands don't offer a lot of space so you either don't have room for a wireless charger next to your bed or it will take up most of it! If your phone is put on vibrate, it will eventually move itself out of the charging area, and on some cheap wireless chargers it might fall off of them altogether. That said, not all wireless chargers are created equal and some of them design their units to minimize that problem but your mileage may vary depending on the size, weight, and the charging area of the phone you're using. In the end, I hope those facts have given you enough insight about phone wireless charging to decide whether it's suitable for your lifestyle or not and have helped you narrow down the options for your next smartphone purchase! Google Photos just launched and although it has great features like being its own standalone product, unlimited storage, and automagical search, I find it lacking major features that you'd expect in a photo management platform. That annoyed me enough to make me write my first post in 2.5 years! Google prefers to give the task of sorting out your life's worth of photos almost completely to artificial intelligence, and you have no say in it. While Google's AI is smart enough to detect people, things, & locations in photos it will always be missing the context. While it's very smart to get photos of my dogs if I search for "dog", it completely fails to allow me to search for a one specific dog, not to mention if I'm actually looking for that dog's 7th birthday party. How would Google know that? Albums are very important but they just don't see it that way. Album management is stripped down to the point where they could've just got rid of it altogether. If you like managing photos in albums, you're in for a bad time. There's more about albums below. I don't know about you, but for a photo management platform I think I'd like to tag people so I can easily search for them later. Speaking of searching, searching by people's name returns either incomplete results & sometimes nothing at all. It's also unclear how they'd associate people's names without tagging. This is huge, most of your private albums (and all of the newly created ones) are world accessible...for people who have the link. This is done so you can share your photos with your friends with a link, but instead of that permission being granted when you generate the sharing link, it's there by default and the only way to change that is by using Picasa Web Albums! Sure, the ability for anyone to guess that link is highly unlikely, but the idea of having all your private photos protected only by links is just absurd. This is a smart system right? It can easily detect when that photo was taken without your help right? Wrong. Let's say you're scanning your childhood photos, those photos are taken tens of years ago and not the day you scanned them. What if the camera's date and time were wrong? Even editing a photo messes up its time stamp. You're only allowed to name your albums. That's it. I really like adding more info about my albums like locations, dates (already mentioned in point 4. how the system fails in managing that correctly), and notes. I find myself going to Google Plus and creating an Event so I can store those details. This one probably annoys me the most. I'd like to go to my "Auto Backed Up" photos and move them into albums. First of all you can no longer know what was auto backed up in the first place like you did in G+ Photos. Second, the idea of albums as folders is gone & replaced by labels. This is not a bad thing at all except that those labels are not visible to the user! So you can't really tell if a photo is in an album (or many) nor if it's not categorized by you at all. Google Plus Events has an awesome feature that allows everyone in an event to upload their photos which creates a shared G+ Photos album for all the event's attendees. This is just great, except that photos uploaded by others no longer appear in that album in Google Photos. If you select unlimited storage as your upload option, any photo with resolution higher than 16MP is scaled down to that, easy. But, if you're uploading in full size, you have no clue which photos are using free storage and which ones are using your storage quota. 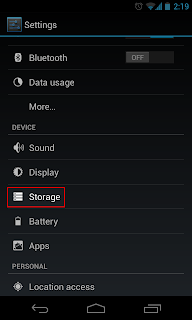 There's also no option to scale down a certain photo so it won't use storage quota anymore. Google Photos is the 3rd iteration of a photo solution by Google and you can still use any of those different renditions to manage your photos! I'm not really complaining here, as Google Photos lacks so much album management features, I find myself going to Picasa and even G+ to do certain tasks. 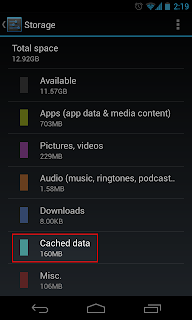 With version 4.2, Android has added a very useful feature that shows you how much space is taken by the cache data of your apps & the ability to clear it. This is very convenient if you frequently find yourself running out of space. 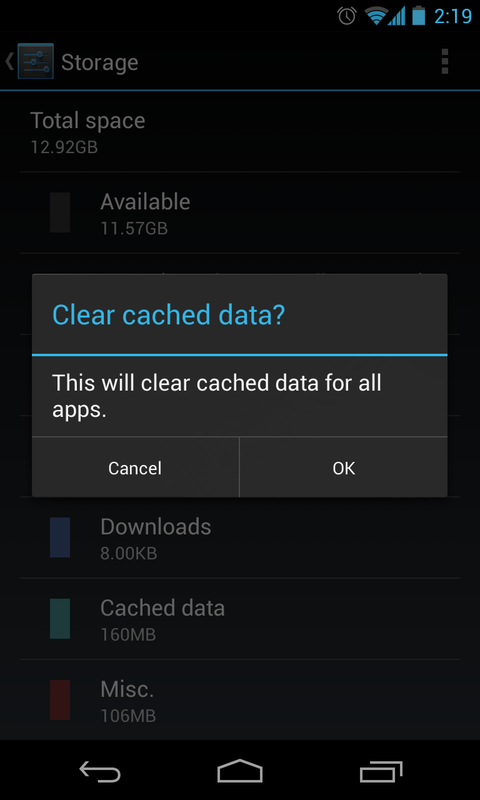 If you wanted to do this in older versions of Android, you had to go to Settings > Apps & visit every app one by one to clear cache data. 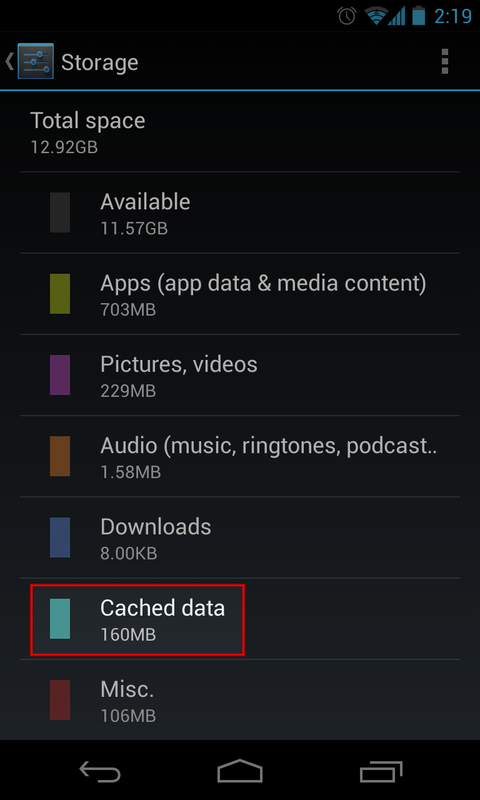 You'll see categorized information about your storage including the new Cached data section. Click on Cached data to clear it. The screenshots below shows you how that looks like. 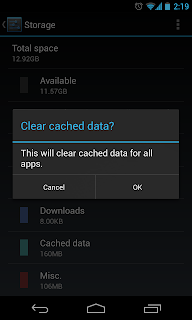 If you want to see detailed information about which app cache is taking the most space or you need a quicker way to clear the cache regularly, I recommend using App Cache Cleaner as it offers exactly that. 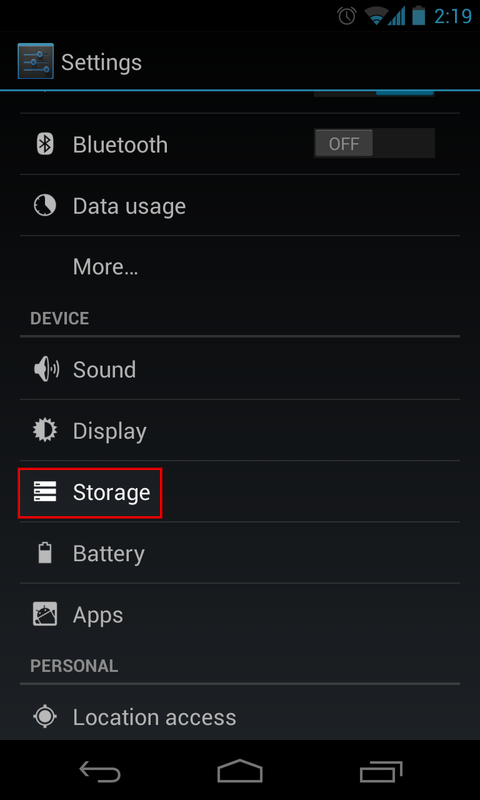 It also has a one touch widget that you can use to clear all your app cache really quickly. 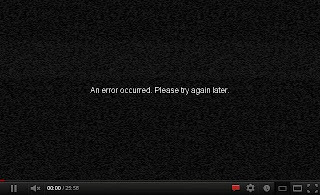 If you watch a lot of YouTube videos, eventually you going to encounter the An error occurred. Please try again later error. 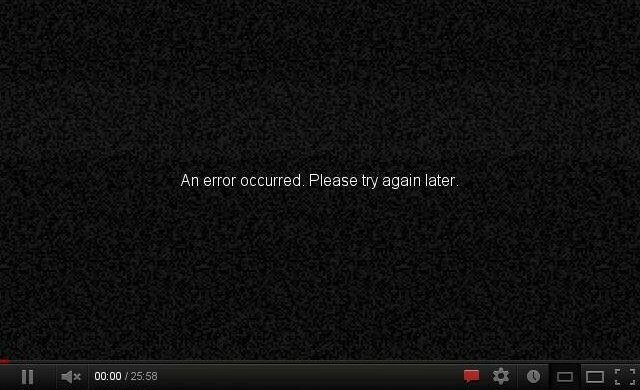 While it's always disappointing to see that, YouTube has recently added a TV Noise themed animation to this error to lighten up the mood. You can see how it looks like below or check out the animated version.